Both sides are sanded to a smooth finish ready to paint, decorate, stain, or simply leave plain. 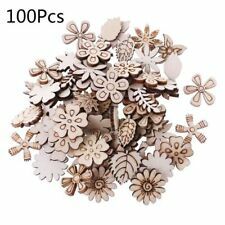 Wooden flowers and leaves shapes with hole, cut from high quality wood. Color: Natural wood color. Material: wood. Quantity: 10PCS. Shape: Candy. Material: Resin. Colors:Mixed Color. We areFeiFan Collection. Great for party, crafts, gifts or cards, wedding showers, baby showers doll house displays etc. Color: Transparent. Material: Plastic. Color Bronze Tone. Check out this item at ". Couleur : Transparent. Matière : Verre. Quantité: 20 Pièces. Color:Peach Pink. Function:Ribbon Flower. 1、These ribbon roses are very beautiful and useful, good for DIY. Product Photos. 100% New & High Quality Premium quality, delicated arts and crafts. Great for sewing, craft, clothing, bag, scrapbooking, and more. Can be used in Parent-child activities, like painting on it and DIY lovely pieces. Material: Wood Size: approx. 15 * 12mm Thickness: 2 mm Package Included: 100x Heart Wood. The ribbon is 1m long. Quality Fabric ribbon can be used on clothing, sewing, Trimmings, hairpiece, corsage and much more. Function:Ribbon Bows. It also can be painted and varnished for a more personal finish.Charming wood decorations are great on photo booth projects or decorate them for special occasions. Thickness: 0.3cm / 0.12" Quantity: 10pcs.